"After nearly a year long recovery from ankle surgery, how far would you push yourself in your first sessions back on the water?" 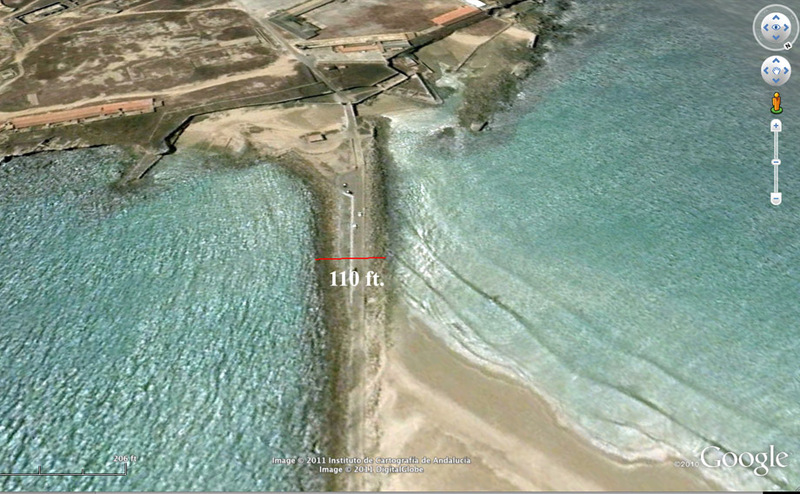 The venue, Tarifa, Spain, familiar haunts for Ruben. Looks like something approaching 40 ft. off the causeway. Too bad it didn't last into the third jump. 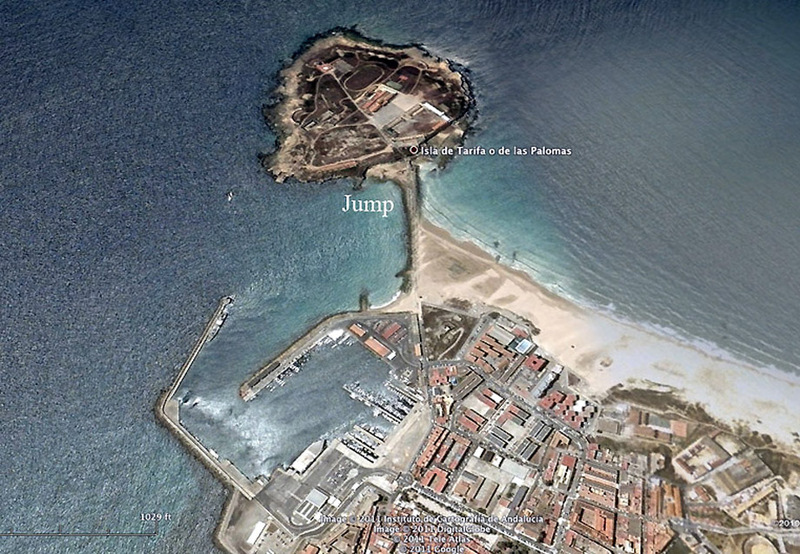 The details of the third jump are omitted from the video except that it was acknowledged to have been real bad. Here is a composite photo of Ruben's position in the third potentially disastrous jump. 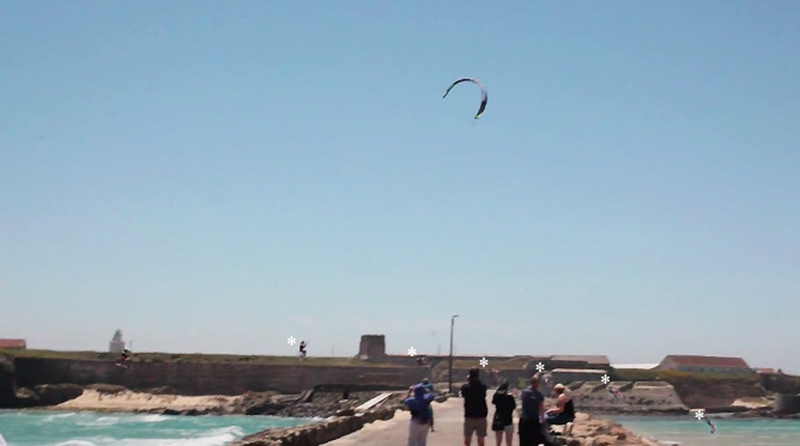 He lacked kite power as he spun up the jump. You can see the low flat trajectory and miss of the rip rap boulders by what seems less than five feet as he approaches the water. A closer view of the composite jump image. A closer view of the causeway. I would guess the overall high jumps were on the order of 200 ft. horizontal possibly more. So, what do you think about this? 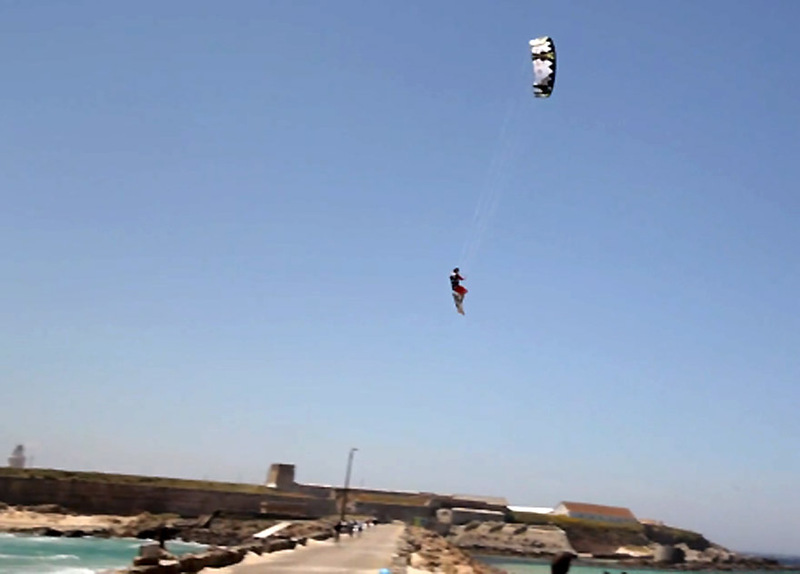 Ruben Lenten is one of the most capable more extreme kiters in the world. He was coming back after a year off following a serious ankle injury/operation/rehab. He said he wasn't "feeling it" (the jump) but did it anyway. It came close to killing him and took a good deal of skill to pull off the save he managed. He looked pretty shaken up understandably. Good thing he was able to just pull it off and avoid severe injury. He would be a major loss to the world of kiting needless to say to family and friends. Moral: Jumping hard objects can undo even the very best among us. Push your luck too often and it may not be there to hold you up. Dimitri and others have learned this the hard way. For lesser mortals/kiters, best advice, don't jump the hard stuff at all, lest you drop yourself into it but proper. Ego and overconfidence mess up quite a few of us over time, that is both lesser and great kiters. Ruben gave us a free look of nearly being undone even with all his skill and experience, it is worth taking it seriously.